Here is the list of best page builders for WordPress to unleash your creativity and take full control of your page designs, without being a professional designer. This is the age of drag and drop website making. Everyone, including people with little to no technical understanding, can create their website on their own. There are abundant website building platforms available online that a non-technical person can use to create his website. WordPress is one of the CMS that has made website building easy and very much manageable. However, WordPress by default doesn’t provide a drag and drop page building feature. But since WordPress is known for its extensibility and there are unlimited possibilities of what features you can add through WordPress plugins, there are several other drag and drop page builders for WordPress that makes it easier. 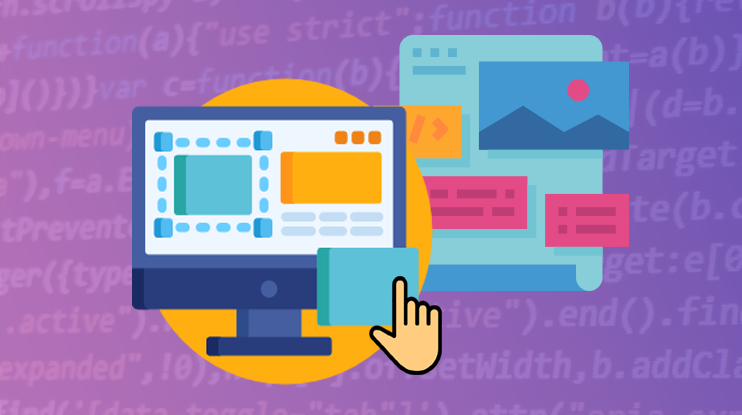 Here is a list of the best drag and drop page builders for WordPress that makes creating WordPress websites faster, easier and fun. Beaver builder is a simple yet effective page builder you can integrate into your WordPress website for drag and drop page building facilities. The beaver builder has a lite and pro version. You can download the free Beaver builder lite version with the basic features or go for one of their premium plans. The page builder works at the front end and lets you create beautiful pages without bothering about code. Just pick the element you want to add to your page and drop it at the relevant section. Also, you can use the page building elements to change the existing sections. Also, the premium version of the WordPress drag and drop page builder is affordable, considering it can be used on multiple sites. Beaver builder has a simple interface and comes with intuitive options to create WordPress pages with different & unique designs. Divi builder has a history different than any other page builder. The drag and drop builder was first developed as a page builder for their flagship product – The Divi theme. However, considering how convenient and easy to use this builder is, and how it effortless it made for the Divi theme users to create the website of their dreams, it was made available as a separate product. Divi builder is a lightweight and easy to use page builder with drag and drop options. The Divi builder comes with flexible and beautifully crafted page building elements. The Divi builder aims to help you complete your project quickly and effortlessly. Hence it comes with the save and reuse features. The Divi builder is a premium plugin and has no free or trial version. Also, not that you can only buy it as a bundle along with all other Elegant theme’s products. However, it is still affordable. Along with Divi, you get the one of the very best WordPress theme, Divi theme and also access to all other elegant themes products. This makes it a best choice for a web design agency trying to complete maximum products in minimum time and efforts. One of the best free drag and drop page builders is the page builder by SiteOrigin. There’s a long list of this awesome plugin’s virtues. It is free, lightweight, user-friendly and works with almost any theme. You can download it, install it into your WordPress website and build beautiful pages from scratch. The page builder has a simple and intuitive drag and drop page building interface. You can use the elements you want to create webpage’s section you need. You can even save and reuse your designs. The pages built with the Siteorigin page builder are SEO friendly as well as responsive. However, the page builder by siteOrigin too has a premium version. It comes with advanced features like fancy Lightbox, theme enhancer, post carousel, and faster support. The SiteOrigin page builder has comparatively very much to offer for free. If you are looking for a free page builder, you must give it a try. WP Bakery page builder or the Visual Composer is one of the most popular page builders for WordPress. It is a page builder with the simple interface and multiple customization options. The visual composer lets you choose from the available templates, or create your own template using the different page elements. So you can create your own template and save it for later use. To create your pages, you can use different elements like text, images, videos, icons, Google maps, FAQ sections, charts, graphs & buttons, or WordPress widgets, etc. All the built-in page building elements make page building easier. This page builder also supports some third-party elements like Contact form 7, Revolution Slider, Essential Grid, etc. The page builder by WP Bakery also lets you see a live preview of the selected template before you actually insert it into your page. Visual Composer is for you if you are looking for some affordable and simple page builder with simple options to create your site’s pages. However, it is good for simple page building and may lack features if you would expect if you are an expert who wants to create complex layouts. Elementor page builder has a free version that you can download and use freely. Now even with the free version of this beautiful plugin, you can build brilliant pages. There are all the basic screen elements you will need, ready to use section templates, and the ability to save the templates to use them in the future. Besides the free version, there is also a premium version of this awesome page building tool. Elementor has some of the most flexible options. Besides, there are numerous page builders available that you can integrate to add more features to your page builder. One thing I like most about Elementor page builder is it’s simple and intuitive interface. I had barely spent an hour or so creating a website using Elementor page builder and I already felt like an expert. The Elementor page builder gives you a lot of options: to choose the page element/template, to totally customize its layout, & to completely manage how and where it appears on your screen. Live Composer is a free drag and drop page builder for WordPress page builder. It lets you create pages with simple drag and drop options, without writing a line of code. Live composer also allows 3rd party slider integration and Google map modules. Besides, you can integrate icons and live animation into your site. There is also an option for woocommerce page building integration that allows you to add WooCommerce elements to your web page. The page builder comes with ready to use modules, with beautiful styling features to create beautiful page layouts. It comes with easy drag and drop options to create responsive pages in minutes. The Live Composer can be used by anyone regardless of their technical know how. It is an SEO friendly page builder that can be used by designers, developers, or business owners to create their site on their own. Do you want to create beautiful one-paged WordPress websites? The landing page website lets you do so with strategically crafted and custom Call-To-Action sections. This plugin lets you create crafty sales pages, appointment booking landing page, design coming soon pages, or a page for an event or webinar. You can create custom pages that focus on lead generation, course/newsletter sign up, etc. Use the inbuilt templates and create pages that actually convert. Landing pages builder by Wishpond lets you create pages with the available landing page elements and simple drag and drop options. The Landing pages builder allows you to integrate email marketing apps like Aweber, MailChimp, iContact, etc. It also allows you to create landing pages with popup notifications. The Landing Page builder by Wishpond makes it very easy to create the feature packed and powerful pages that leave the lasting impact on the visitor’s mind. So which one did you like? All these page builders are built for WordPress and help you create pages for your website very easily. No need to hire developers or designers to create your site. With the help of these tools, you can shape your imagination and bring it to reality. All of the above mentioned page builders allow you to create responsive pages with elements that look good regardless the size and resolution of the device they are viewed on. Want to create your own website with easy drag and drop options? Have a look at the Consulting business theme with the Elementor page builder. 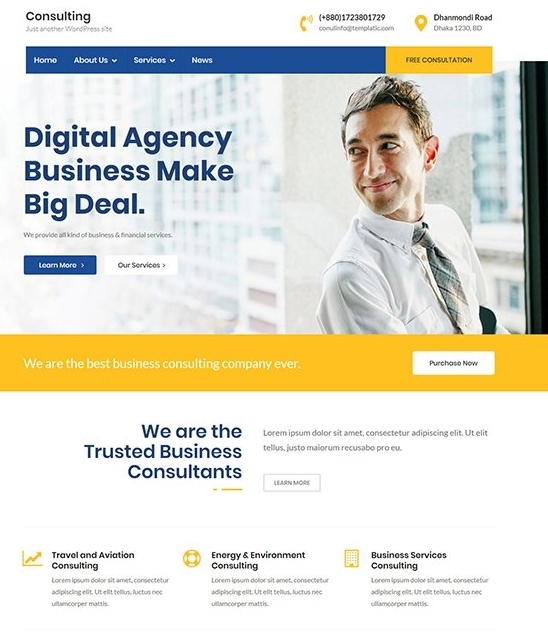 A simple, sleek, stylish, and straightforward WordPress Consulting business theme for your next project. Directory software for creating local or multi city directory that earns for you.